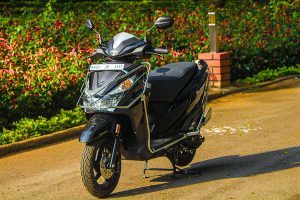 Honda 2 Wheelers‘ appetite to bring in scooters to Indian market has not sinked in yet. Country’s 2nd largest 2-wheeler manufacturer and the very company which is responsible for Scooterization in India has added one more automatic scooter to its portfolio. This time Honda brings in a new scooter in the form of GRAZIA with a much powerful engine and advanced features to catch the imagination of youth that lives in 2018. 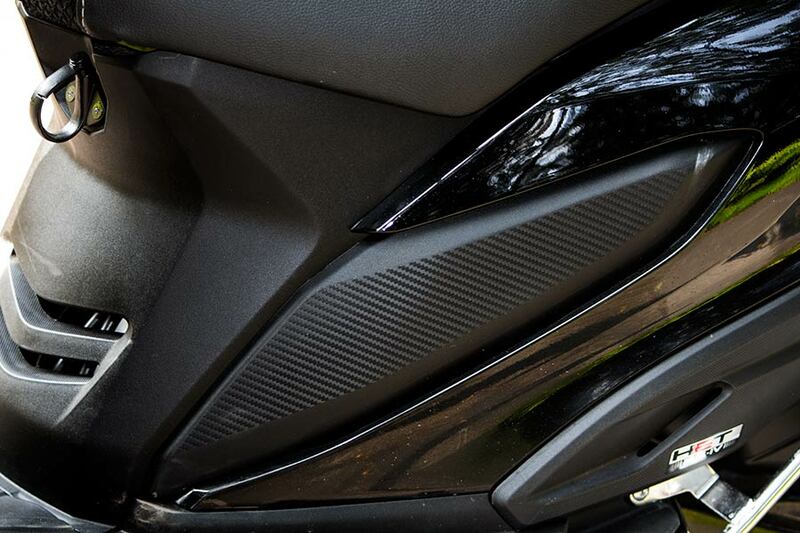 Like always, We were excited to test the latest introduction – Honda didn’t disappoint us and provided the all new GRAZIA for a day for a short review. 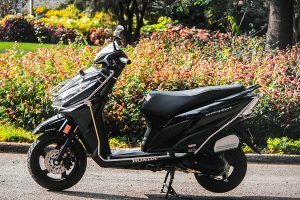 What follows is the review of Honda Grazia scooter and we try explain why the GRAZIA is “Brightest Scooter Yet!“. 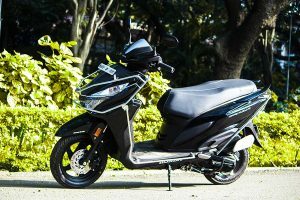 Thanks to City Honda, the showroom which is centrally located in Bangalore (St John’s road Ulsoor) from where we picked the GRAZIA from. We were provided with a brand new GRAZIA in Pearl Nightstar Black Color variant out of 6 different GRAZIA colors. Interestingly, the GRAZIA which we tested was provided with safety accessories that made it look a bit “Bulky”. While there are multiple choices available in the 110cc scooter category – you only have few in the 125cc scooter segment ( Honda Activa 125 and Suzuki Access 125). 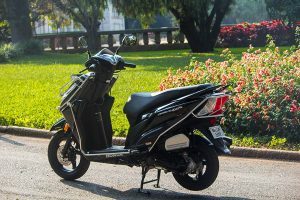 With the introduction of Grazia, the options in 125cc scooters for the consumers have gotten increased. Grazia being the latest in 125cc category gets more advanced and updated features compared to its competition. 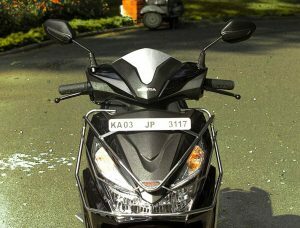 At a first glance, you might confuse GRAZIA for Honda Dio (a 110cc scooter from Honda 2 Wheelers). Although the overall design (chassis frame etc) is kind of identical you can clearly notice there are lot of changes. The headlamps are positioned higher than it is in Dio. The color combinations, patterns and front fascia although looks borrowed from Dio, the product has got its own individuality and GRAZIA is a completely different product. The GRAZIA branding glitters nicely and you can see HONDA branding across the scooter including the sides of floor panel. You get plentlyful space in the front with large number of hooks and pockets. The grab rails at the rear are different when compared with Dio. 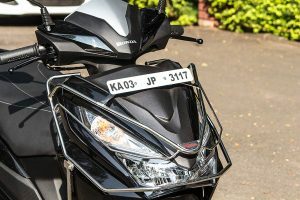 Honda Grazia is the only scooter currently in the market that gets LED Powered headlamps in the front that also contains 8 different projected lamps providing strongest and brightest view-ability. 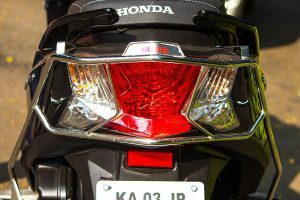 You may now know why Honda is obsessed with the branding “New Festival of Lights” and why we also think GRAZIA is the Brightest automatic scooter yet! 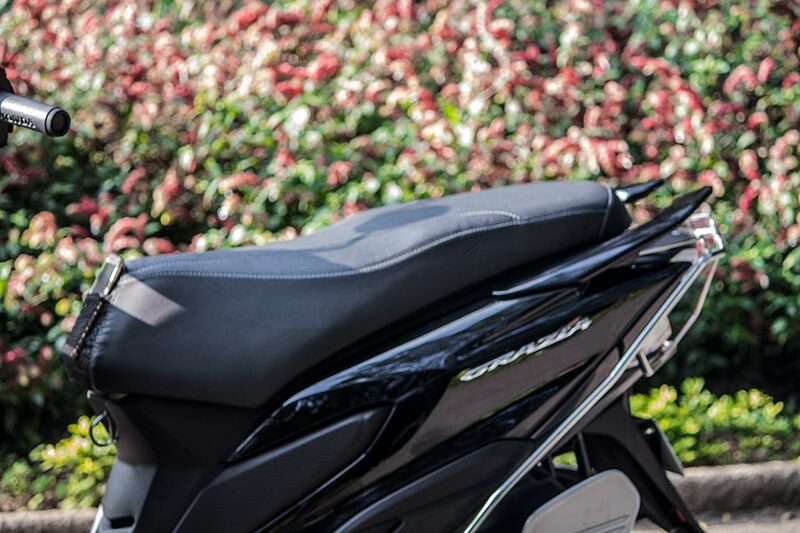 Get Honda Grazia 125 for Test Drive! The front dashboard of Honda Grazia scooter gets a fully digital instrument cluster. 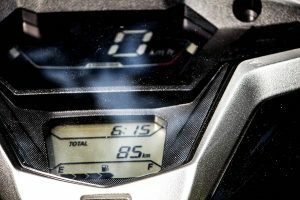 While the Activa 125 has semi-digital instrument cluster, Grazia becomes the first scooter to get fully digitizal instrument cluster containing Speedometer, Odometer, Tachometer, Fuel Gauge, Trip meter that facilitates the ride. The style, fonts used for the Speedometer is terrific and Eye-catchy – Moreover, it is very easily readable even under the brightest Sun. And at night, it is a treat to watch. 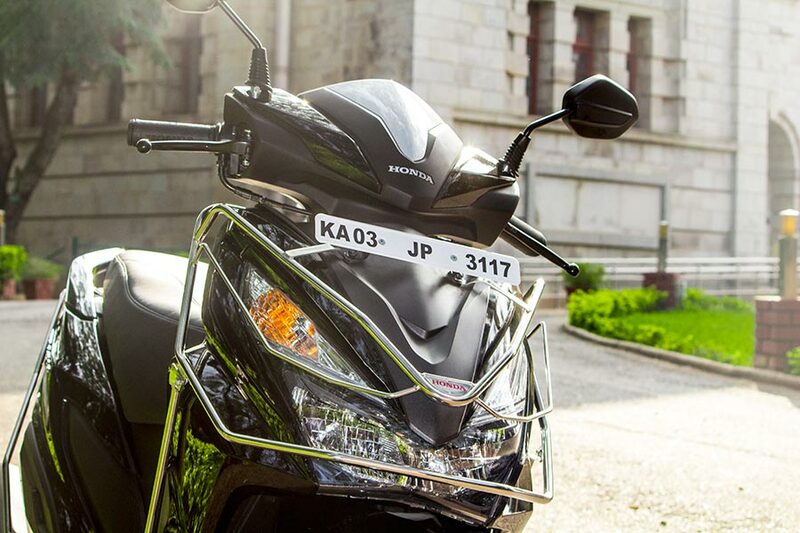 The all new Honda Grazia is powered by Fan cooled, 4-stroke, 125cc engine. Grazia is capable of producing a maximum net power of 8.52 bhp at 6500 rpm and offers maximum net torque of 10.52 Nm @ 5000 rpm. 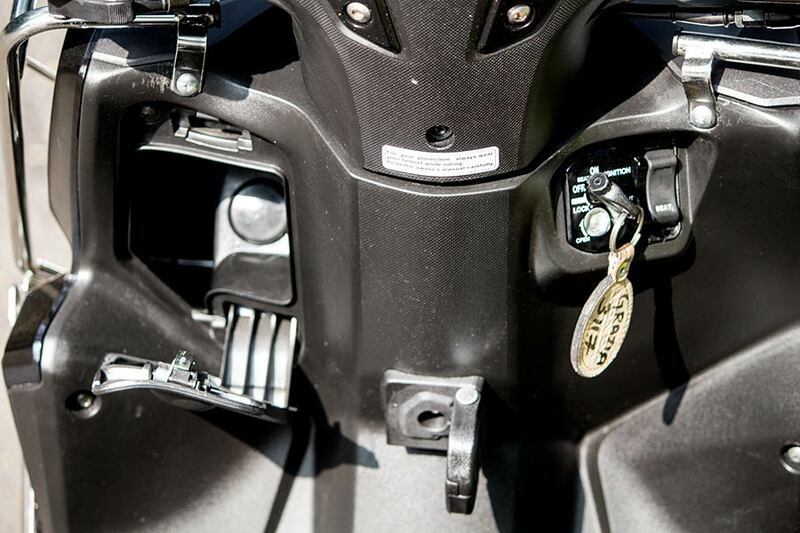 The transmission type is V-Matic and you can use both Self and Kick start for the ignition system to kick-in. 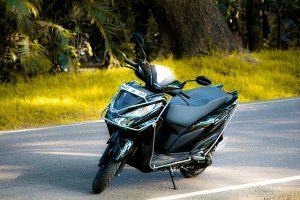 On the road, Grazia kicks in lot of power when needed and it feels more easy and stressless when you compare the riding experience with Honda Dio or even Activa 125. Honda Grazia offers pretty good power and torque – stability and endurance for that long ride. The fuel economy (Mileage) offered by Honda Grazia was around 45 Kmpl during our test on city roads and national highways. 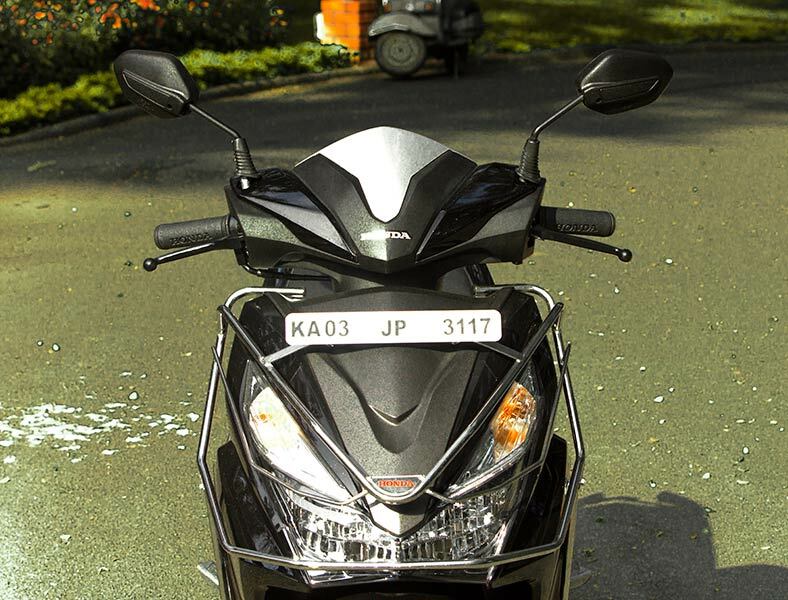 As said before the 125cc engine helps GRAZIA attain the stability and performance. 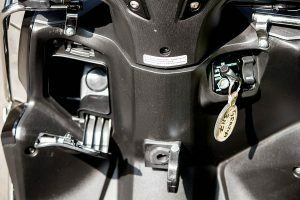 It is equally important to consider how the scooter supports the handling, manoeuvring and braking. The Grazia variant which we tested came with alloy wheels and disc brake in front. The prices of different Grazia variants differ accordingly. 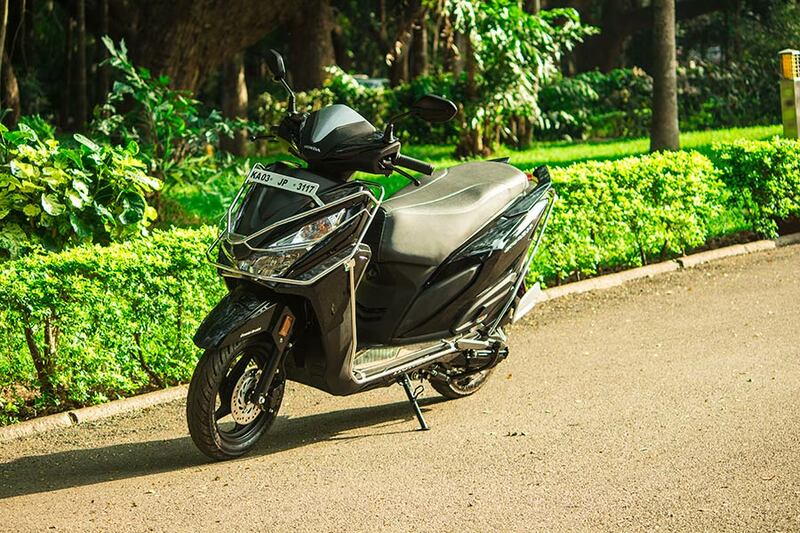 The ride quality on Grazia was good, the disc brake in front and patented Combi-braking system improves the braking experience – it was pretty responsive and intuitive in conditions like bumper-to-bumper traffic. Honda Grazia gets a front telescopic suspension and rear spring-loaded hydraulic type suspension. 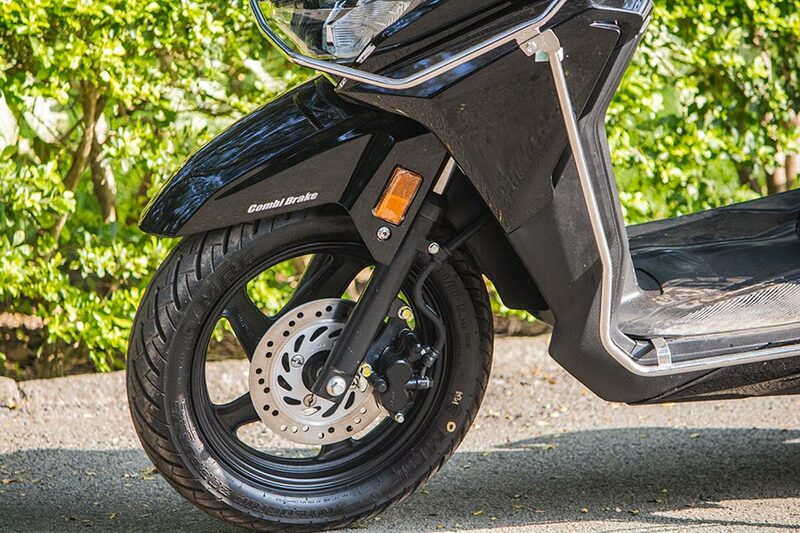 The Tyres used are 90/90-12 tubeless tyres in the front and 90/90-10 tubeless tyres in the rear. Honda Grazia gets a 12V 3Ah rated battery and uses viscous-type air filter that doesn’t require maintenance upto 16,000 kms. The seats of Honda Grazia were comfortable to sit and the scooter offer a good ample space to stretch the legs and use the footrest for the pillion ride. The differently designed grab rails were useful at times for the pillion. Grazia performed well even after loading 2 completely built-up adults. Talking about the dimensions, Honda Grazia measures 1812 mm in length, 697mm in width and gets a wheelbase of 1260mm. The ground clearance of Honda Grazia is 155mm and the kerb weight of Grazia is 107 Kgs (Indicates its pretty light). Honda Grazia seat height is pretty ideal for short riders as it just 766mm. The Fuel tank capacity of Honda Grazia is 5.3L. 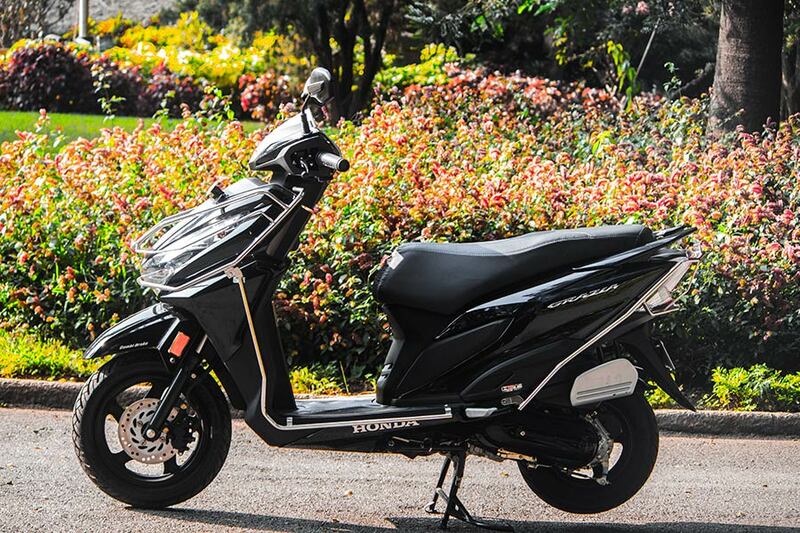 Check Honda Grazia Colors to view Grazia photos of all colors. 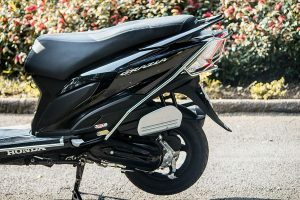 We liked Honda Grazia, just not because of the performance offered by scooter’s 125cc powered engine, but also for the kind of features offered like seat opener in front, mobile holder and charging point, flexible and plentiful space offered, anti-theft feature, advanced design with looks and for the ride quality. If you are planning to buy a scooter with advanced features like stated above which is quite powerful then GRAZIA wouldn’t disappoint you for sure! The bright 8-way LED lamps for front makes GRAZIA the brightest scooter here yet!